YOU GUYS, I bought a Hurom masticating juicer & now all I want to do is “juice.” So, since I had a serious, “TREAT YOSELF” moment on Amazon, it’d be selfish of me not to share one of my new juice recipes, right?? I love my vegetables & spices, but you know who else loved his vegetables? Popeye the Sailor Man! Who could ever forget the lovable Popeye & his dependency on a can of spinach–which helped him grow biceps–to protect his beloved Olive? 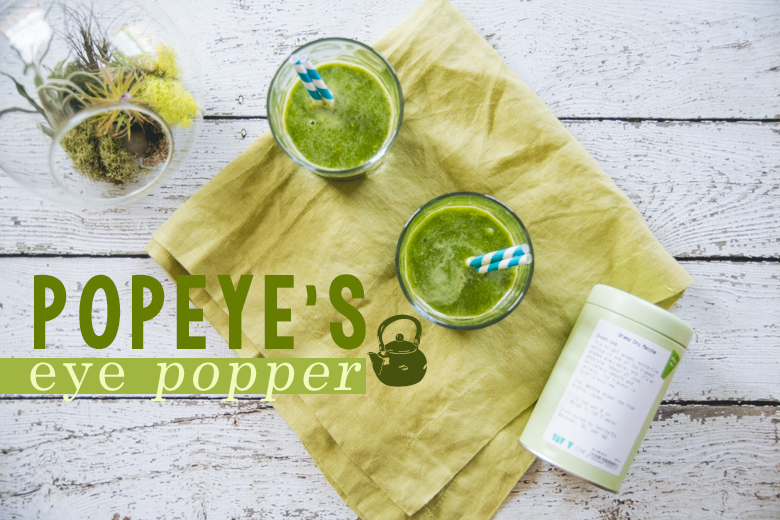 This juice will surely make Popeye’s eyes pop with the addition of ginger & cayenne. The added heat spices up this otherwise simple juice. Ginger is just what Popeye needs when he bulks up because it’s known to help reduce exercise-induced muscle pain & high blood pressure. We all know Popeye needs to settle down his hypertension! Additionally, ginger can benefit Olive too because it can aid in dysmenorrhea, more commonly known as painful cramps due to menstruation. Ladies, safe to say we all know this too well, yes? The solution is a nice hot bath, relaxing chamomile & lavender, & more ginger! Both ginger & cayenne help fight inflammation & respiratory problems, but cayenne is also linked to boosting your immunity, weight loss, & reducing the risk of Type 2 Diabetes. Combine all of this with oranges (vitamin C), lemon (vitamin C), spinach (vitamin A & C, niacin, zinc), cucumber (vitamin K, weight loss), & matcha (catechins, burns fat, soothing, detox, energy, etc) to make one ridiculously amazing-for-you juice! Don’t have a juicer because they’re too expensive? No problem: toss it in a blender & make a smoothie. Add a banana for extra creaminess. Sad about the obnoxious amount of money you spent on your juicer only to spend even more money on produce that’s wasted via pulp? Should’ve bought a masticating juicer, my friends! Regardless, every juicer creates an edible pulp byproduct. Don’t toss it out, add it to your food! 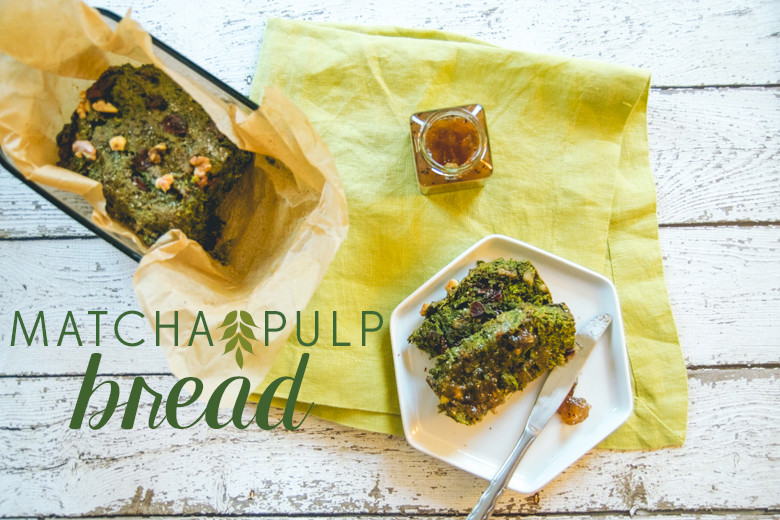 I used the pulp from the Popeye’s Eye Popper juice to make this lovely loaf of Matcha Pulp Bread. 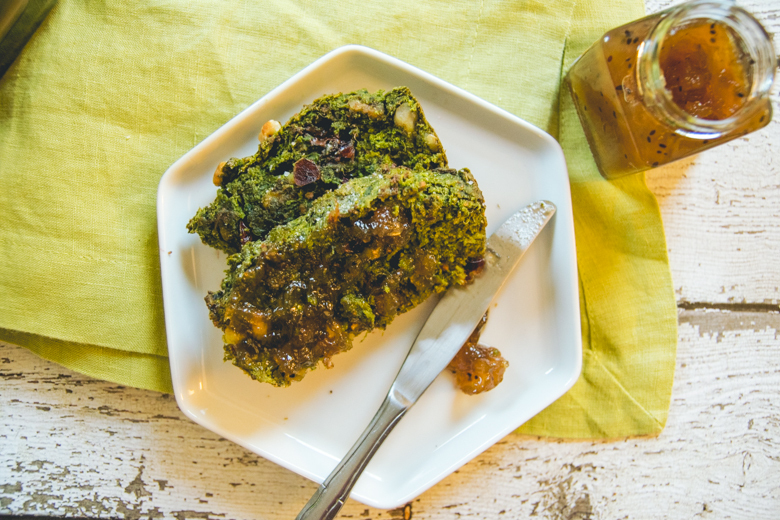 It pairs well with some jam or jelly & a nice piping hot cup of coffee or tea. 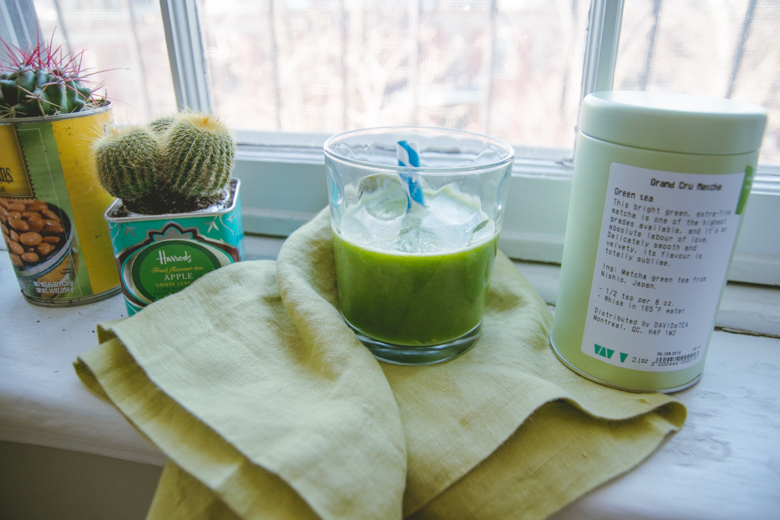 This St. Patty’s day, get green with matcha & your body will thank you later. 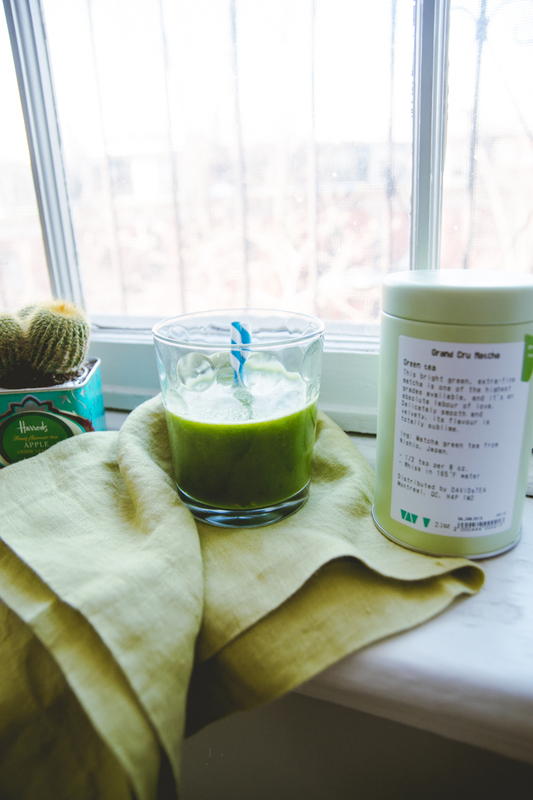 Say no to strange dyes & yes to matcha! Chad of Roommate Harmony was kind enough to send me this magnetized weekly planner! It’s a simple paper pad with all 7 days of the week to help you & your roommate (or just yourself) get your life in check. Whether you use it as a meal planner or a weekly reminder, it’s a straight forward product. Pros » Simple weekly planner with magnet to keep you in check! Nice color scheme too. Definitely like it. Sometimes iCal & my other weekly planner book aren’t enough. It’s nice to be reminded that I’m supposed to be doing something other than eating when I look at the fridge with this planner in front of my eyeballs. Cons » I’m a typography elitist, so I am not a fan of the fonts used. Reminds me too much of school chalkboards & I’d rather my weekly planners look modern (sans-serif) for a clean cut look. Text area could be bigger & there should be room for us to write down the actual month + day so as to avoid confusion. Check out Roommate Harmony for more neat products to maintain the peace between roomies! Their chore chart would’ve been pretty darn helpful back when I lived with 3 other people. RH also donates a portion of their profits to Project HOME, “a Philadelphia non-profit organization empowering individuals to break the cycle of poverty and homelessness through affordable housing, employment, health care, and education.” Get organized & inadvertently help reduce homelessness simultaneously. Lastly, I now work for my new favorite tea company, DAVIDsTEA! 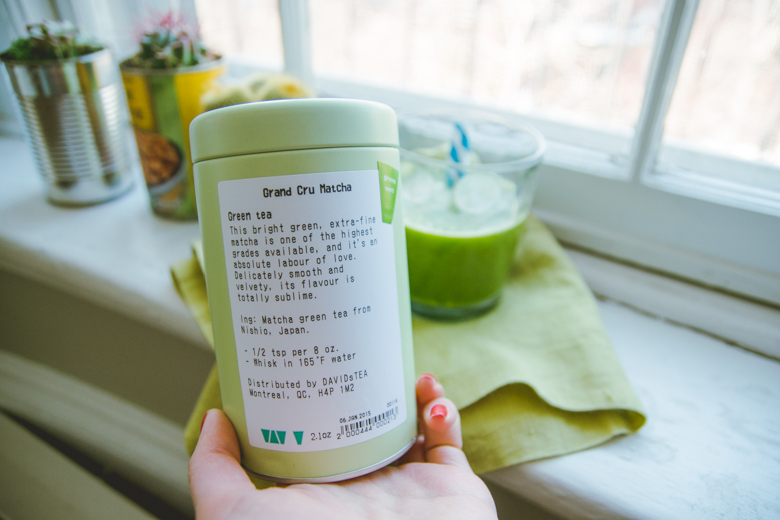 The matcha I used in my recipes were from DAVIDsTEA & I love that part of my job requires me to drink all 150+ teas. So, if any of you are interested in expanding your loose leaf tea collection, I’m creating a list of my thoughts on all the teas I’ve had. Heck, since I love the company so much, I’ll even list my new jam (aka favorite new tea or what I’m drinking) in each post. Latest Jam » Iced matcha latte with almond milk & a touch of agave. And yay for naturally green food 🙂 Match is indeed great, and that juice sounds so healthy! And that pulp bread . . . say what? Never knew you could make bread from pulps like that! That’s something new! You & I both, Tara….you & I both….it would totally make more sense if there was a salad chain restaurant called Popeye’s Spinach or something. Yep! I had to google ideas on what to do with pulp & I saw some ideas like, “bread, pancakes, spinach, cakes, cupcakes” etc so I just had to incorporate into my trial bread making. Turned out great! Early Grey bread with some pulp (maybe) is next! Well, maybe something more spring oriented, but we shall see. 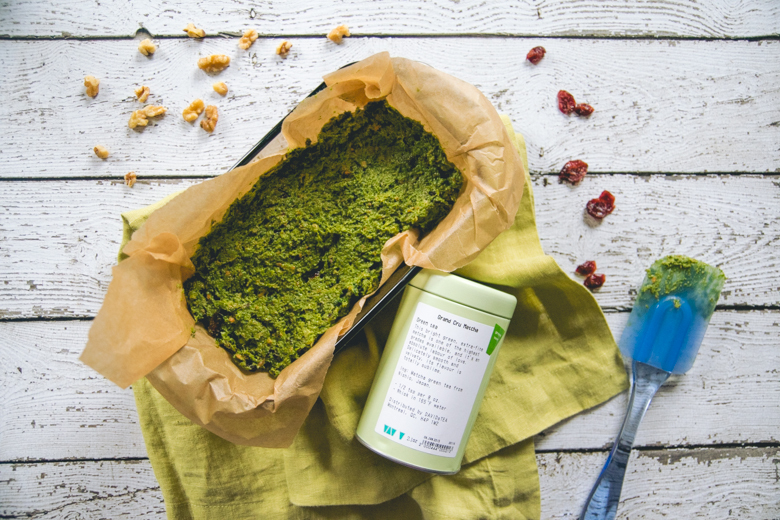 It’s amazing – very reminiscent of the green tea latte at Starbucks, but obviously a million times better because it’s the real matcha powder! I LOVE green smoothies/ juices with cayenne. Ginger’s a little strong but I know the combination is actually really good for us. Also, I LOVE matcha. I have a friend who’s big into matcha desserts and as a result, I’ve gotten really into it this past year. But it can get a little pricey from what I’ve seen so I haven’t bought much of my own aside. I knew that matcha was a type of green tea, but I didn’t know those other things about it. That’s very interesting! That’s awesome that you treated yourself to a juicer 🙂 Gotta have those moments once in a while! I’m about to treat myself to a new DSLR lens, haha. I love that your juice recipe uses ginger. Good for you and adds a little kick! I saw another blog reviewing stuff from Roommate Harmony too! I think their stuff is cute and helpful, but I kind of prefer the digital route. Nice to know that they donate part of their profits though! first of all, i feel like apologizing for not keeping in touch. i’ve been busy with lots of stuff that whenever i’m done posting my post, i deal with other things instead of blog jumping like i used to. i love love love this recipe because it’s matcha and i’m always up for whatever matcha though it doesn’t always guarantee i’m gonna like it – for instance, matcha pocky was weird while matcha kit kat is perfection. i remember buying matcha powder in the grocery store and blended it with skimmed milk and without honey or sugar or syrup and it tasted so bitter! LOL well that just proved how genuine matcha powder is, i suppose. wait, i never knew anyone would dye their pasta?? ….or was that for humor? hm, my apologies for i am not a chef and i don’t go to the kitchen lol..i only know how to take pictures of food and possibly review them from personal experience but not cook them. This is the greenest bread I have ever seen. I love matcha, it’s absolutely my favorite tea. I am very curious about the taste of this bread, does it have a grassy flavor or what?